Are you struggling to think of activities to accompany texts that students will enjoy? 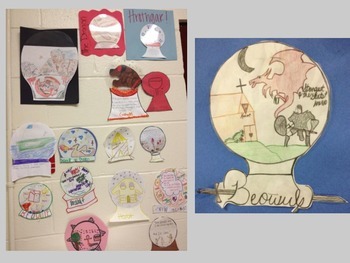 This creative activity allows students to display their talents and demonstrate their knowledge of the text at the same time. This activity is aligned to CCSS and focuses on displaying evidence from the text. The first two slides explain the project options and the third slide shows sample student work. 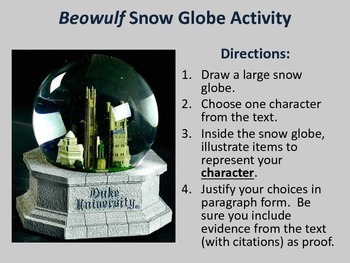 I have other items that go with this text for sale including a Beowulf summative assessment, a Beowulf Snow Globe activity, and a PP with Beowulf writing prompts. Created by TopGrump.